Today, we’re increasingly mobile. Moving effortlessly throughout the day from work to play, heading to the sports or travelling for business and pleasure, our lifestyles are more fluid and dynamic than ever before. We are surrounded with solutions for simplifying, organizing and streamlining our lives – but options for how to transport our toiletry products seem to fall short. 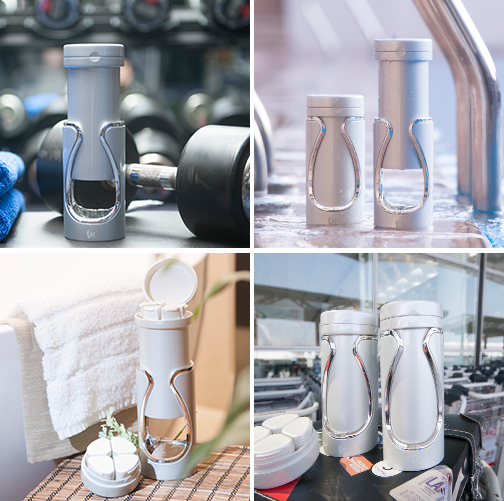 Introducing Tic Travel Bottles, each bottle contains removable internal containers that forma user-friendly travel dispenser. 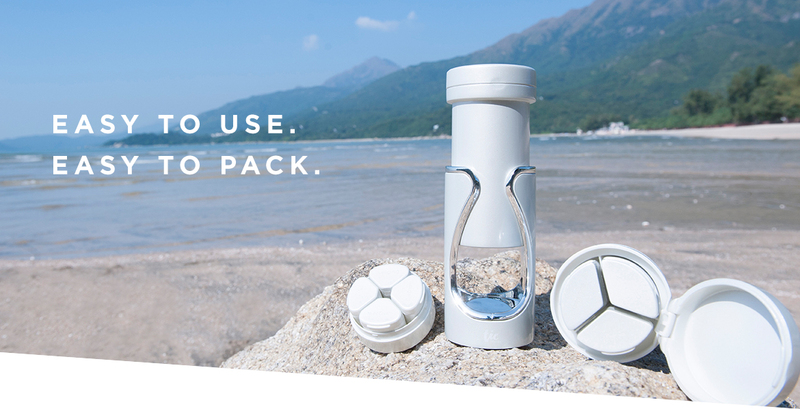 Lightweight and compact, TIC Travel Bottles can easily fit into a suitcase, backpack, toiletry or gym bag, so you can bring your favorite skin and shower products with you, wherever you go. The story of TIC Travel Bottles, starts with a guy called Ben. Ben and his wife love to travel. But every time they would head away for a short escape, to visit relatives or plan a staycation, Ben would watch her buy dozens of small plastic travel bottles, fill them up with skin and shower products, painstakingly label them with stickers and then place them into clear plastic bags – just in case they leak or break in transit – which they often did. He could see that these bags were taking up a lot of space – and time. Ben knew there had to be a simpler way and after he couldn’t find anything else out there in the market – he set out to create it himself. Hailing from a background in product manufacturing, Ben spent the better part of a year researching travel accessories, conducting market research, chatting to consumers, and brainstorming, drawing and prototyping to create what would eventually become, TIC Travel Bottles. So why are we here? Well, Ben wants everyone to enjoy the fun and freedom of using TIC Travel Bottles but he needs your help to make it happen. What are the bottles made from? 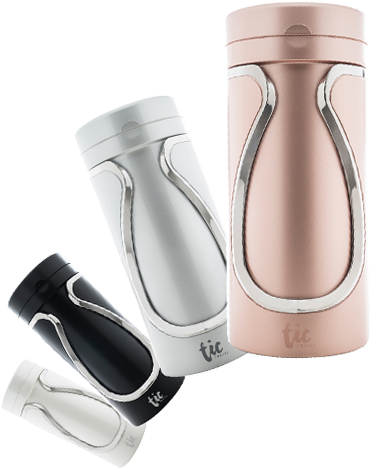 The Tic travel bottles are made of BPA-free polycarbonate, a FDA-approved material, so you can rest assured that your quality products are in a quality container. 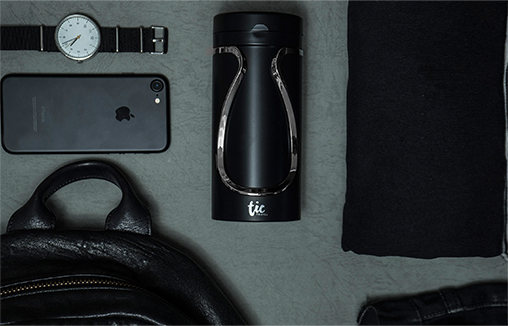 How to use Tic Travels Bottle? 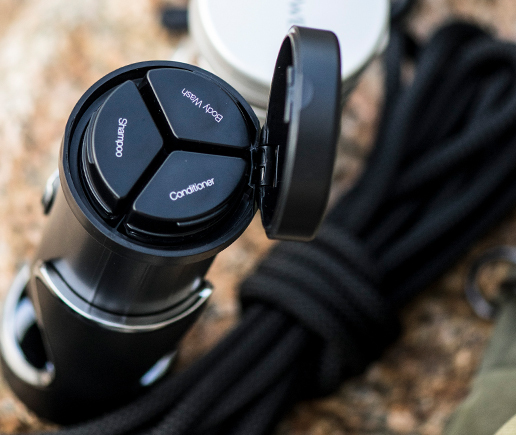 TIC Design has performed quality checking ensuring the product functions properly, and we would like to let you know how to use this bottle without hassle. A funnel is provided in every package to aid in filling the container. Gently turn the body of the bottle to extend it, and turn it back to fix it. Gently press the container tube to pump out the liquid. Before you put the bottle into your luggage / bag, please close the labelled tube cap and the pump cap fixtures properly, you can press the bottle gently to check. Please take out the tube to check if any remaining water left below the tube during the shower usage; if yes, please turn the bottles upside down and drain away the water that possibly go into the bottle during the usage, like how you will clean and dry your regular bottle. There are complimentary cleaning tools provided with every set. You can use warm water and a little bit of washing up liquid to give the containers a gentle clean. Make sure the pump has bounced back to original height before putting the bottle into your bag. **Please be advised that acetone containing substances (e.g. nail polish remover) are not suitable to be carried inside the bottle.